The Beauceron is a smart, assertive, independent and often stubborn breed that typically have the size and skill to defend their home and family if necessary. It is very difficult, if not impossible, to wear out a Beauceron! Those considering bringing this breed into their family should live high-energy lifestyles and enjoy active exercise on a daily basis where a dog could participate. When a Beauceron is bored, they will often be destructive! 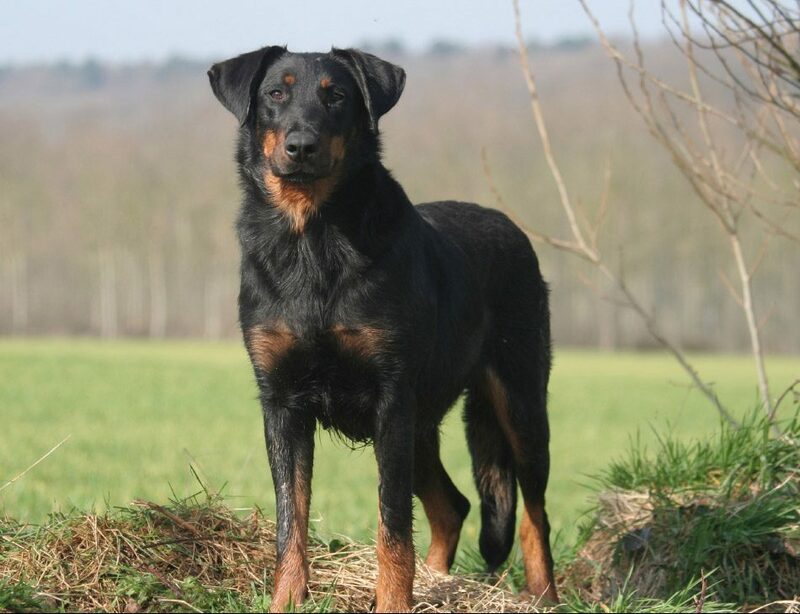 The Beauceron is an intelligent dog that is both courageous and calm. This clever canine learns well, is known for being loyal, and has a natural extinct to please and protect its family. Beaucerons make great guard dogs! They will be wary of strangers and in most cases, do not get along with dogs they are unfamiliar with. The Beauceron can usually adapt to other pets in the home if introduced when they are a puppy. Should a family include young children, the Beauceron may attempt to herd them, making them a less than ideal choice for households with little ones in the mix. It is important and necessary that a Beauceron get proper training so that it does not take on the role of the “boss”. Early training will help make the most of thi breed’s intelligence, ability to learn quickly, and energy drive. Praise, play, and food rewards are helpful. A Beauceron will push back when asked to do something in an effort to test you, so be prepared!